Between the clouds and objects on the earth are created by inductive way opposing electrical charges. Because the electrical conductivity of the air and midway, between them is obtained electric arc - lightning, accompanied by sound effects - thunder. The famous English physicist and chemist Michael Faraday /1791-1867 y./ shows that in a cage of wire mesh or solid casing, the external electromagnetic field, including lightning, do not cause a striking effect. All buildings must be equipped with lightning protection system - so called "external protection", protecting from direct lightning strikes. 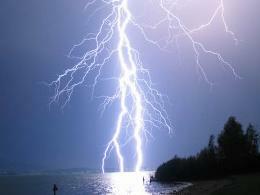 Good lightning protection means more than Faraday cage and grounding. Prof. Dr.Sc.Techn. Eng. Stefan Iliev is a leading expert in this field in Bulgaria with more than 15 years of professional experience. Competent consulting for companies, industry designers and private persons, project check, controlling and concrete product recommendations.